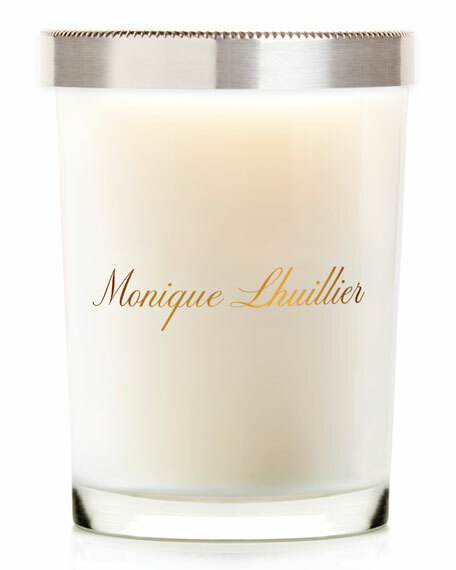 Agraria Monique Lhuillier Citrus Lily Crystal Candle, 7 oz. 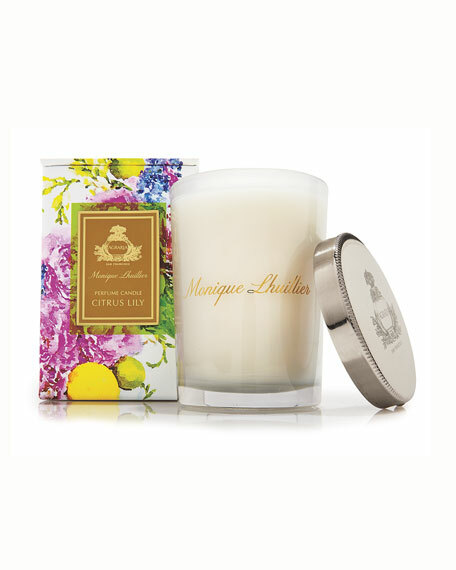 AgrariaMonique Lhuillier Citrus Lily Crystal Candle, 7 oz. Agraria's Citrus Lily is a fresh and sophisticated bouquet of orange blossoms, gardenias and jasmine, blended with freesia, ylang-ylang, sandalwood and musk. 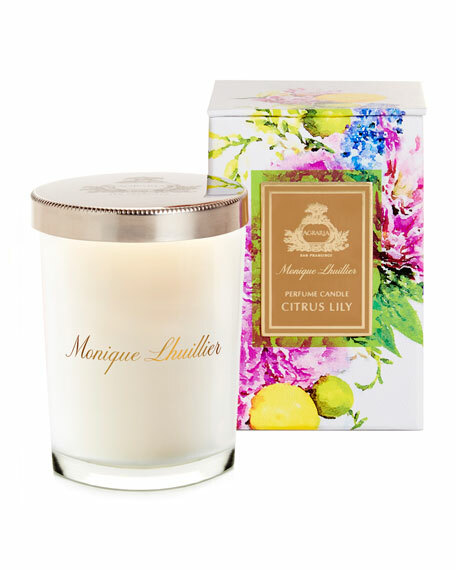 This boldly modern and romantic fragrance is a creative collaboration between America's iconic home fragrance company, Agraria, and Monique Lhuillier, one of America's foremost fashion designers. I'm so delighted to collaborate with Agraria on my new home fragrance collection. Over the last year, we have gathered all of my favorite scents and woven them together into a modern and elegant fragrance that brilliantly captures my aesthetic. Citrus Lily reminds me of the outdoors and the flowers found around my home. This complex formulation is true Agraria, while the scent's allure is distinctively Monique Lhuillier. Approx. burn time is 30-40 hours; 7 oz. (198g).